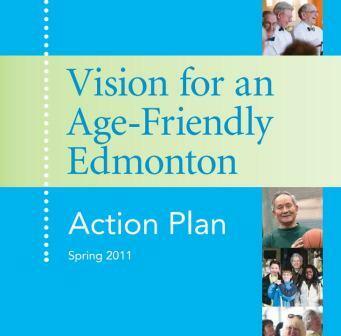 The Vision for an Age-Friendly Edmonton Action Plan is the result of extensive community consultation with seniors and their care givers and key stakeholders. It is built on a common vision of Edmonton as a community that values, respects and actively supports the well-being of seniors and promotes an age-friendly community. And it is rooted in the principle that seniors take an active role in the implementation of the actions required to meet the Plan’s 18 goals. It is noted that the quality of life of Edmonton seniors can be improved by addressing the goals and actions in the following nine key areas.